The printed word is fading rapidly in a society obsessed with the disappearing ink of mediums such as Twitter and Facebook. But on the other side of the spectrum are die-hards who want relief from the cyber world of printing. Actual relief that is. Old world style letterpress is making a comeback. To showcase the revival locally, the Western New York Book Arts Center holds its grand opening from 6:00 PM - 9:00 PM Thursday. It's located at the corner of Washington and Mohawk. 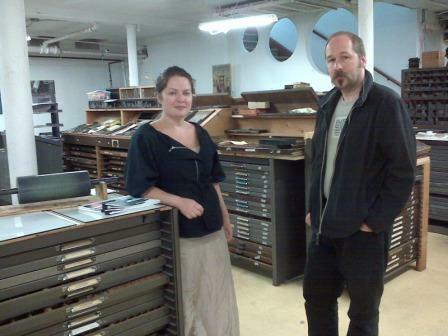 The event will feature members' work and offer demonstrations of letterpress printing. WBFO's Joyce Kryszak visited the center and stepped back about half a century to bring us this preview. Click the audio player above to hear Joyce Kryszak's story now or use your podcasting software to download it to your computer or iPod.